Businesses process and share enormous information today, thanks to SharePoint collaborative environment in which most of them operate. It is no simple task to make information available in the collaborative environment by importing them to SharePoint Lists from various external information sources. This blog post would discuss how SPListM would help the users address some of these list management issues in SharePoint. 1. SPListM supports standard data types / columns: SPListM supports all standard data types such as, single or multiple lines of text, number, currency, date and time, calculation, lookup, hyperlink etc. SPListM can help the users with data pertaining to almost all business data types such as People, Lookup, Business Data etc. The above screenshot shows the column values, the Look Up->Department refers to. SPListM fetches the corresponding data and makes it easy for the user to update the List Item based on the options listed. 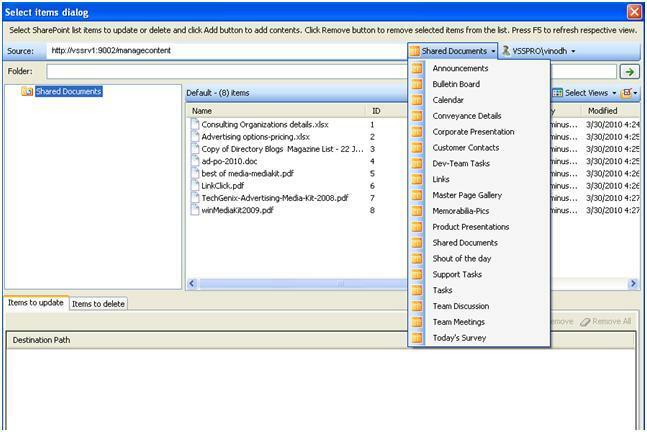 The above screenshot shows an external batch descriptor with the corresponding Lists and the updates to be made to the corresponding SharePoint list. The field ‘Base URL’ denotes the Lists to be updated. 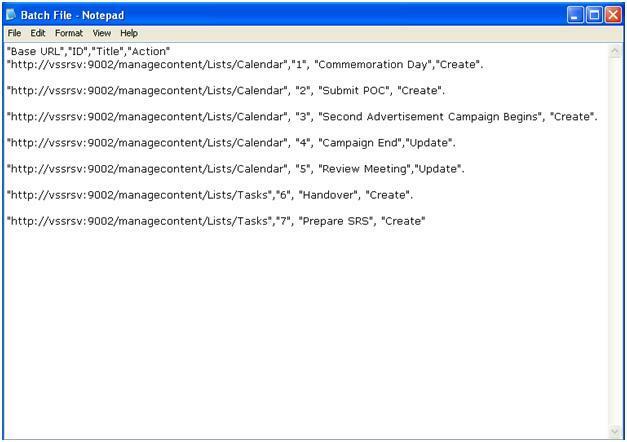 As you can see, SharePoint List Types such as Tasks and Calendars can be updated through SPListM. The above screenshot displays the SharePoint lists corresponding to the given site URL. 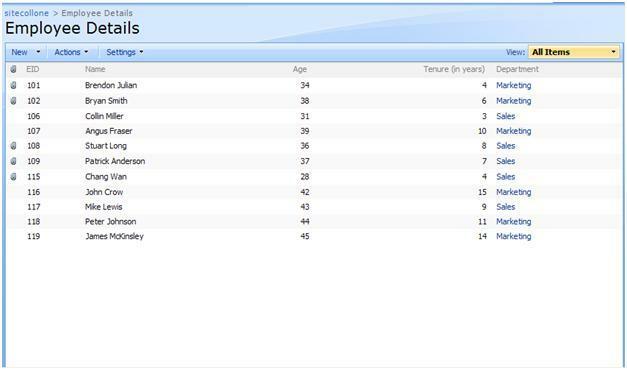 The Lists pane displays SharePoint list types such as Tasks, Calendars and Discussions etc. 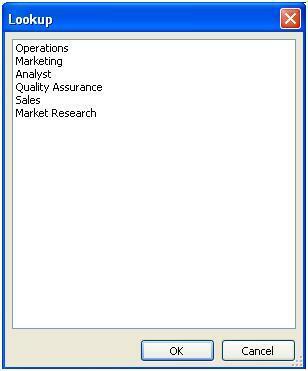 The corresponding Lists can be selected and the necessary updates can be done using SPListM. 3. Automated List items update: Take a situation where in a huge chunk of business information undergoes constant updates and the same information has to be available to everyone through SharePoint. In this situation, the list has to be imported every time it undergoes a change or the changes should be replicated in the SharePoint list manually. SPListM can make amendments to the existing data in list items in an automated import task, which can be scheduled to run at periodic intervals. 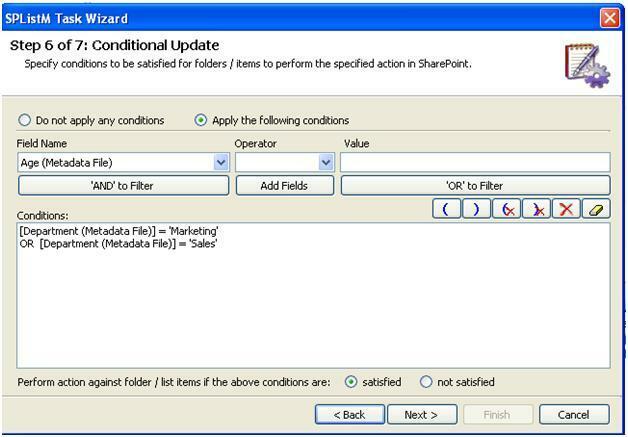 In SPListM, you can make use of the basic mode wizard or an external metadata file to update the SharePoint list. 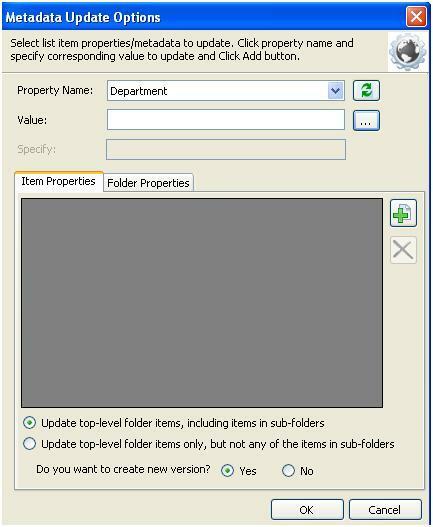 Consider the situation where the user has to update the project status daily at the end of the day or update file / document attachments from another source in a SharePoint list. If it is has to be done manually, he or she has to look at each list item and update the corresponding entries. SPListM on the other hand would allow the user to define the changes to list items in a separate batch file. If the task is a daily routine, all he or she has to do is to define the changes in a batch file and schedule it for automatic list updates. The task would get executed automatically and the changes can be made without much difficulty and human intervention. 4. Ability to maintain versions: SPListM allows the users to maintain versions to effectively track changes to the list items. It also allows the user to go without storing minor changes as a separate version, depending on the user preference. In other words, maintaining version history of list items is left to the discretion of the user and SPListM effectively does what is expected out of it. The above screenshot shows SPListM’s ability to store changes in list item as a new version. It is left to the discretion of the user to enable the changes to be stored as a new version or to make the changes in the existing version. 5. Conditional Import of data: SPListM allows the users to conditionally import data, a feature that would help users to precisely import documents out of huge silos of information. The users can define complex logical conditions at multiple levels to ensure that the list items or records satisfying the conditions alone get updated. The updates can be done either through the basic mode wizard or through an external metadata file depending on its complexity. 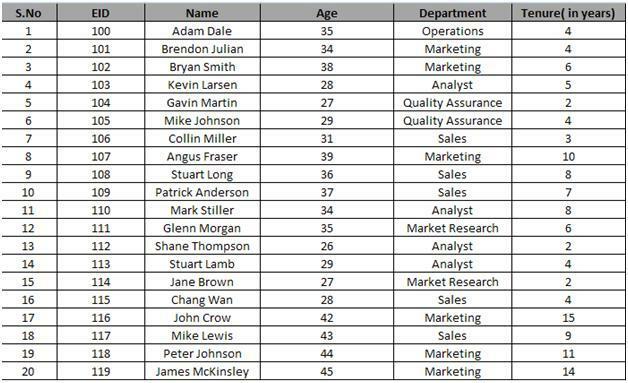 Consider the following table containing Employee details. SPListM allows the user to selectively import these details to SharePoint. The user can impose import conditions satisfying which the data is imported. The conditions as said earlier can be imposed at multiple levels and precise information can be imported. In all of the above scenarios, SPListM helps users address most of the common issues confronted in their daily SharePoint usage. SPListM could very well prove to be indispensable tool for your SharePoint environment particularly for the list management challenges that one could face.